The most popular type of pasta from one of the oldest pasta makers in Italy, this bag of Organic Spaghetti is a must-have for any Italian pantry. 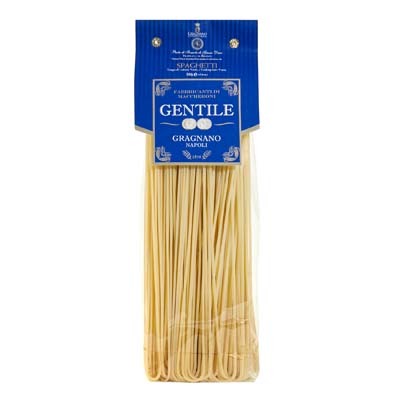 One of the great classics in the pasta world from Gentile, this pasta can be quite versatile. You can serve it with any of your favorite sauces, vegetables, and meats. You can even experiment and make up your own sauces for it. In addition to all that, this pack of pasta are made of 100% natural organic ingredients. Perfect for even the pickiest eaters out there. So grab a bag, or several, today!